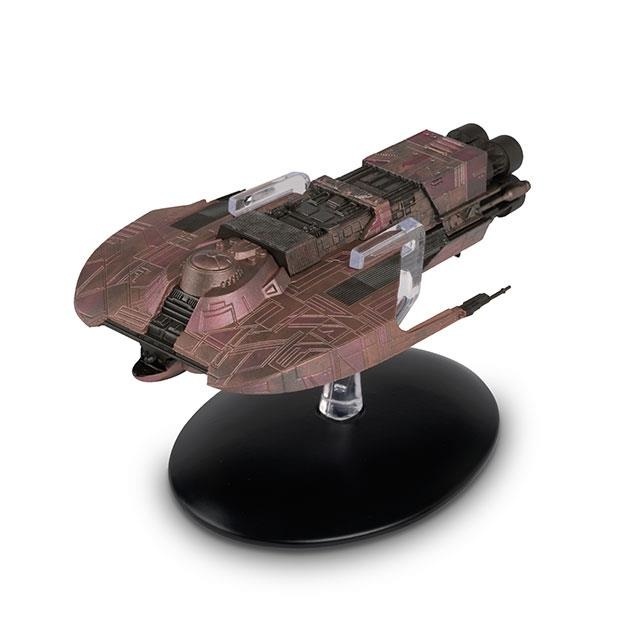 Star Trek: Official Starships Collection part 143 features the Merchantman from the 1984 movie Star Trek III: The Search for Spock. 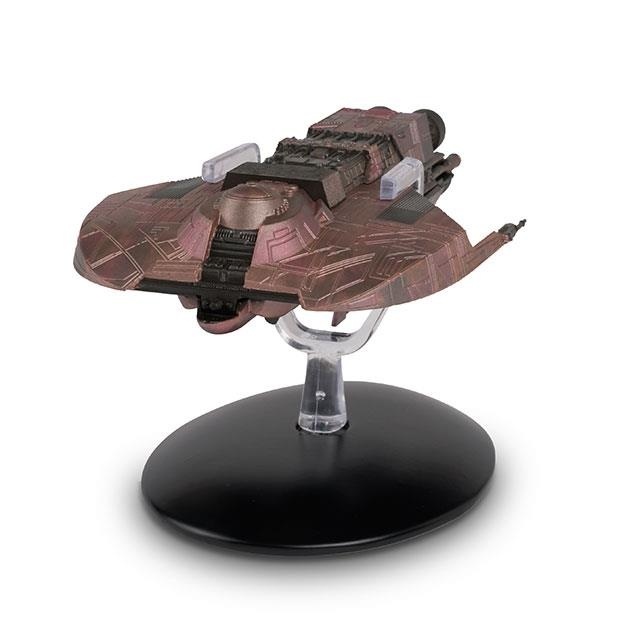 The Merchantman was a small freighter which delivered detailed Federation data regarding the Genesis Device to a Klingon Bird-of-Prey under the command of Kruge. 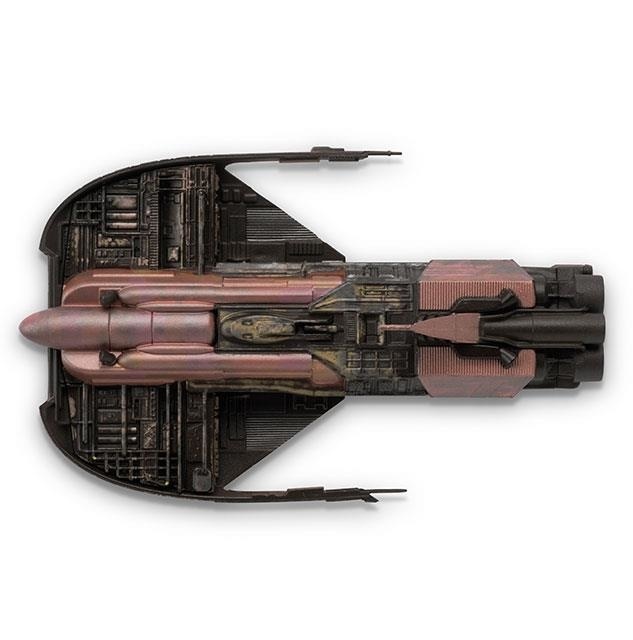 On discovering his Klingon operative had viewed the confidential data, Kruge had the ship and crew destroyed. 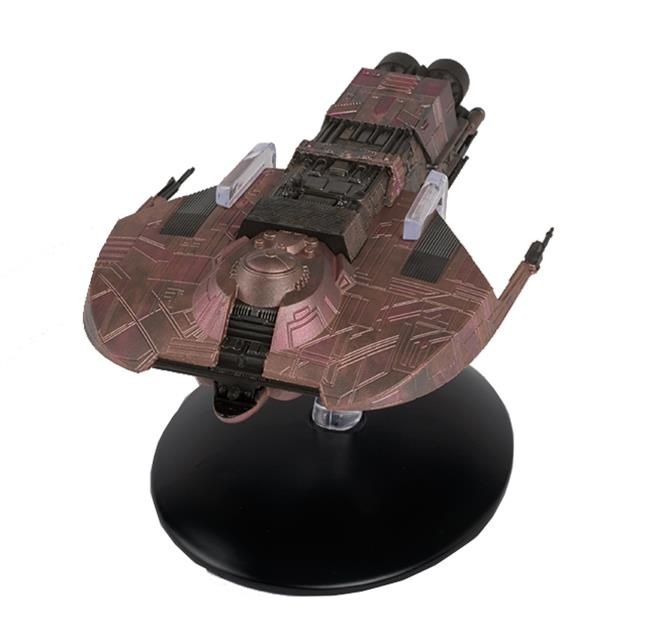 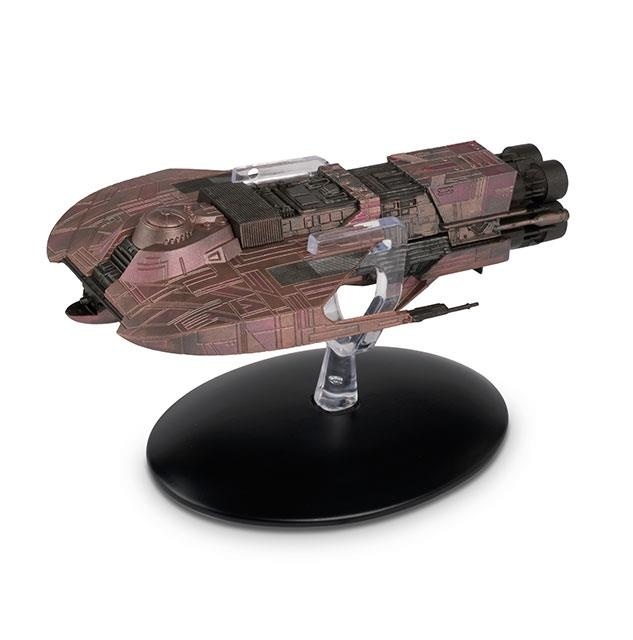 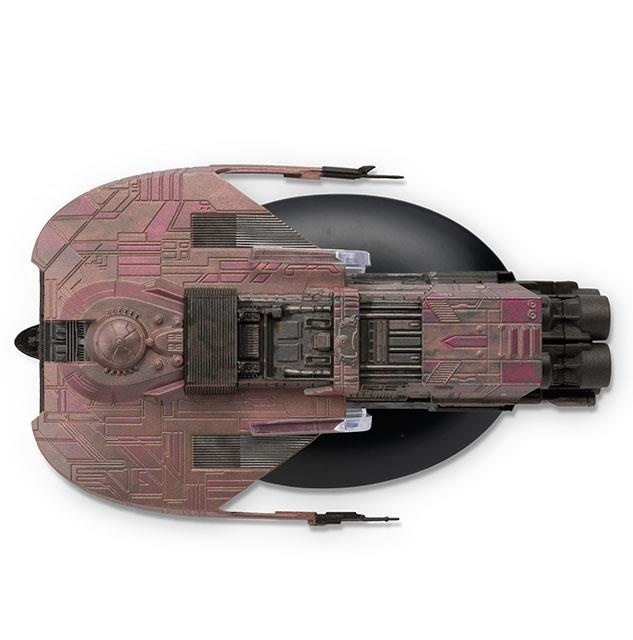 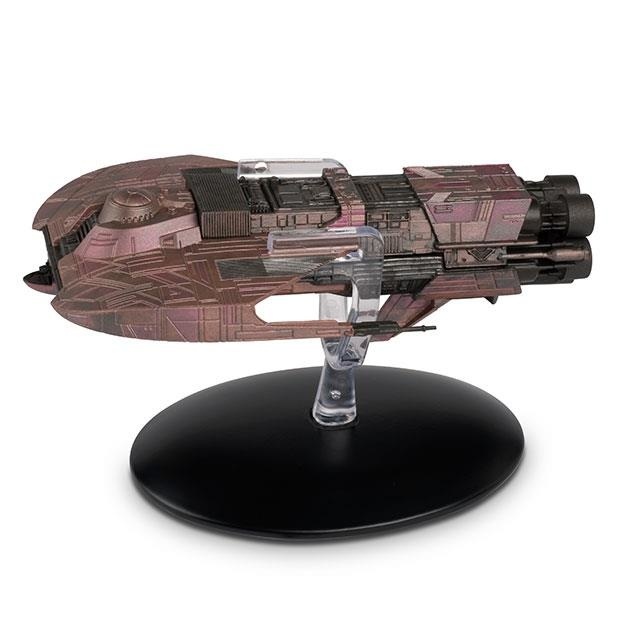 Every possible detail has been scaled down and reproduced to make this Hirogen Holoship model in die-cast and high-quality ABS materials then handpainted with an incredible level of detail. 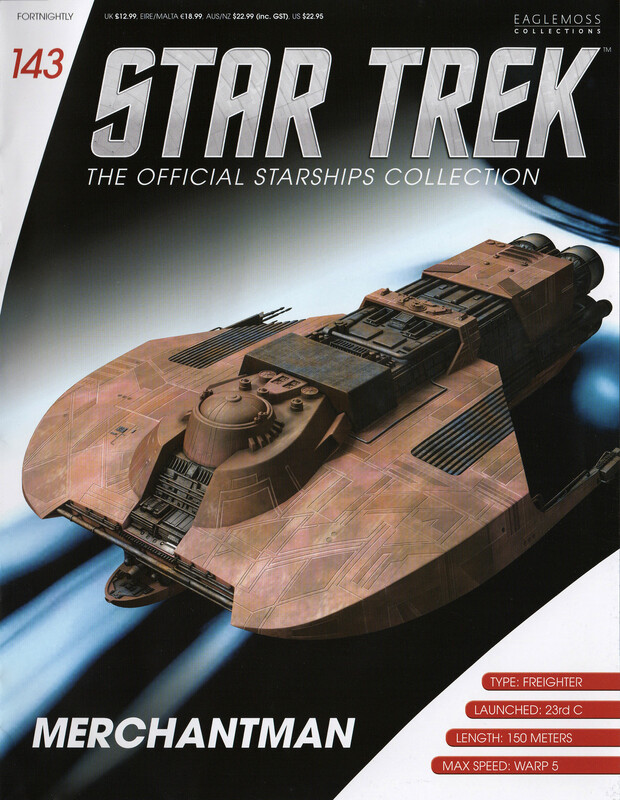 An excellent gift for sci-fi aficionados and addition to any memorabilia Star Trek Starship Collection.